All booking deposits for courses, private coaching and corporate coaching are non-refundable and non-transferable. In the event that a client cancels with at least 21 days notice the client will be refunded the fee paid less the non-refundable deposit. ​NOTE: This section is not relevant to third-party operated discount promotional vouchers (e.g. Groupon) - in the case that a client wishes to cancel a discount promotional voucher for a Speechcamp event they must arrange this with the third party promoter. When a client pays a deposit or full payment for a particular course (held on particular dates) they have agreed to attending that particular course on those dates only. A client cannot subsequently change their attendance to that of a later course or other coaching service. Their payment is only valid for the particular course/service on those chosen dates. Speechcamp reserves the right to cancel a course due to unforeseen circumstances and/or insufficient bookings for a particular course date. In the unlikely event of this occurring we will do our best to transfer the client to an equivalently valued course and/or service should the client wish to do this. The client is also entitled to a full refund including the deposit. NOTE: Third party discount promotional vouchers are not refundable, however in the case of a course date cancellation vouchers are transferrable to other dates for the specified course. Speechcamp delivers tax invoices for all client bookings (except in the case of third party promotional vouchers, which must be arranged with the promoter). Speechcamp similarly delivers tax receipts. Payments for Speechcamp online downloadable products are non-refundable, due to the nature of the products. All Speechcamp services and products are designed for clients aged 16 and over. In the case of a client aged between 16 and 18, the permission of a suitable parent/guardian is required via email and/or writing. Services for clients aged under 16 must be arranged with and accompanied at all times by a suitable parent/guardian. A booking for a specific course at a specific date implies a booking for that date with that course only. Bookings for specific courses are not transferrable with the same course advertised at a later date, or other equivalent, or indeed other courses and/or services. Attendees of a particular course understand that Speechcamp courses are required to start on time, and as such, Speechcamp cannot alter start or finish times to suit individual clients. Any client engaging in any act or omission which is deemed antisocial in nature by the facilitator(s) will be asked to leave the course and establishment immediately without full or partial refund. Anyone wishing to become a client and/or attendee of Speechcamp must, prior to booking, disclose any mental and/or physical issues that could be relevant to the receipt of presentation skills coaching by Speechcamp. All Speechcamp materials, except for client video and audio recordings (see 12)), remain the properties of Speechcamp, and are subject to copyright and trademark laws. Any unauthorised processing of materials and/or properties of Speechcamp is strictly prohibited. 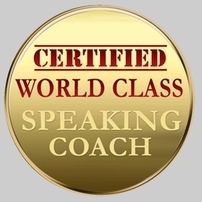 It is understood that by agreeing to participate in Speechcamp courses and services clients may be recorded on audio and video for coaching purposes. All audio and video footage of specific clients is the property of that client. Speechcamp will not, without permission, use any client footage for any other purpose than client coaching. All video and audio recordings are offered to the clients privately, after which they become the property and responsibility of the client.